Tabex Application in Smoking Cessation! Tabex is a drug of choice of treatment of chronic nicotinism. It is particularly appropriate for treatment of risk groups of smokers with health problems on the part of the cardiovascular and respiratory systems, as well as smokers professionally subjected to tension and stress that are predisposed to seek a "false comfort" in nicotine or other drugs causing dependence. Advanced atherosclerosis, some forms of schizophrenia, pheochromocytome, conditions connected with severe impairment of the cardiovascular system and malignant hypertension. 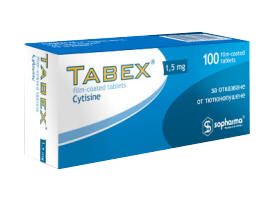 Tabex is administered orally in a dose of 1 tablet every 2 hours (6 tablets daily) for 3 days at corresponding reduction of the number of smoked cigarettes. As antidotes at overdose of the preparation Tabex one may use tranquilizers (anticonvulsive effect) and antihypertensive drugs (decrease of the blood pressure). The high doses may provoke nausea, vomiting, dizziness, tachycardia and muscle weakness. These effects pass quickly after the dose is decreased. The analeptic effect of cytisine decreases during combined therapy with antituberculosis drugs (PASA, streptomycin, etc.). The drug should be administered carefully to patients with exacerbated peptic ulcer. After completing the treatment course, the patients should refrain from smoking even one cigarette, in order to obtain a lasting effect. Filmtablets of 1.5 mg in packages of 100.